It’s the world of magic, mystery and fortune, with a touch of an Oriental theme. This is exactly what players and enthusiasts can expect from Jade Magician, an engaging and colourful slot production from Play’n GO. Known for creating visually pleasing slot productions, Play’n GO is back with this Oriental-themed slot, and it is ready to inspire with riches distributed from the Orient. For this 5-reel and 15 pay-line game, players are given the chance to explore the mystical Orient, and meet Jade, the magician. From the opening introductory video, this game is loaded with details that are pleasing to the eyes and the pockets. 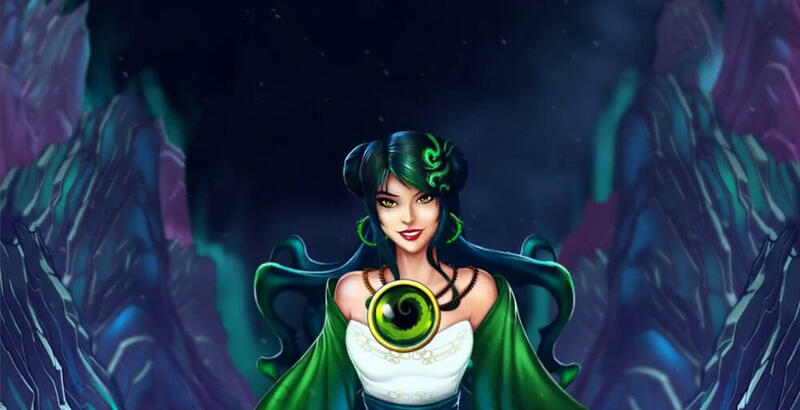 Some of the interesting features and offers of Jade Magician include free spins, second chances, and even Wild features. Open and load up the game, and you will instantly see the Oriental influences on the screen. By playing the introductory video, you will meet Jade, the magician, while the sound effects and Chinese-inspired instruments render authenticity to your experience. The introductory video will introduce you to its unique offers, but if you click on ‘Continue’, the regular game and the reels will be presented. The Oriental-inspired symbols are housed in a 3 by 5 grid, with the captivating eyes of Jade looking gazing at the reels and the player. 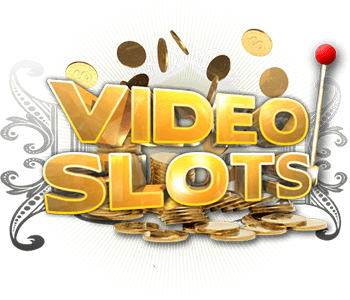 The buttons helpful in making a play are carefully laid out, including ‘Coin Value’, ‘Coins’, ‘Line’, ‘Bet Max’, ‘Auto Spin’, the ‘Pay Table’ and of course, ‘Spin’. The game is clearly inspired by all things Asian, and the symbols used will make players aspire to more jackpots and winnings. One of the advantages in playing Jade Magician is accessibility, at least in terms of the wagers that can be made. While other slot presentations charge at least 0.25 or even 1.00 credit for a start, this game from Play’n GO starts with an ‘affordable’ 0.15 in credit. Given how elaborate and fun the game is, playing for 0.15 is actually a bargain for many players, particularly for beginners. And if the player decides to go all out, then he can wager just 18.75, again a small amount when compared with top-tier casino games. Of course, this is just the basic wager that can be made on the game. To adjust the wager when playing Jade, the player is advised to use the other buttons on the screen. Also, there’s a shortcut that can be used by the player who wants to bet large and loud: the ‘Max Bet’. Whether you play the basic wager or the max bet, you will enjoy a decent 96.54 percent Return to Player. Jade Magician slot is a charming and solid Oriental-themed game, and it comes with familiar items and symbols. On the reels of the magician, you can count on seeing symbols such as dragons, gemstones and even white tigers. It is also refreshing to note that you will not find the usual numbers and letters that are common in many slot presentations, even in Play’n GO productions. The idea behind winnings is simple and standard; under the rules of the game you will need to get at least 3 matches of every symbol to qualify for a win. But Play’n GO improved on the concept by offering the ‘adjacent pays’, the same feature that has been showcased in some Novomatic presentations. For example, if you can get 3 straight symbols to match on the participating payline, the system will deliver you a win. There are different gemstones used in this game, and these gemstones are all designed in a green colour, suggesting money and fortune. These gemstones can be considered the low-paying symbols of Jade Magician. Get 5 moon-shaped gems on the reels, and this game can offer winnings up to 100 coins. The rectangular-shaped gemstones can also offer 10, 20 and 250 credits or coins, provided you can get a match of 3, 4 or 5. Of course, if you want higher coin jackpots, you will have to pay attention to the other symbols like the dragons, eagles and the white tigers. Get 5 golden eagles on the reels, and it deliver 500 credits. Get 5 white tigers and the game offers you 1,000 coins, and if there are 5 golden dragons on the reels of Jade Magician, it will deliver 2,500 coins. There are Scatters and Wilds, and the Scatter role is assumed by the Jade Magician logo, a mysterious wizard. Now, if the reels of this game display 2 Scatters, the Second Chance option will be started. If you have activated this mode, you will have to select the symbol to know your award. The challenge for the player is to look for the Scatter, and once found, another mode is opened up: the free spins mode. To open up the free spin mode of Jade Magician, you will need to get 3 Scatters on the lines that can be shown on reels 1, 3 and 5. Once this offer has been activated, the account instantly collects 5 extra spins. This option of the game can be re-triggered multiple times, and the player can aim for 50 extra spins using this feature. Also, if you can discover 1 or 2 symbols on the reels, it can also deliver 1 or 2 extra spins. This is considered a highly exciting and profitable game, thanks to the use of the Wild Multiplier. 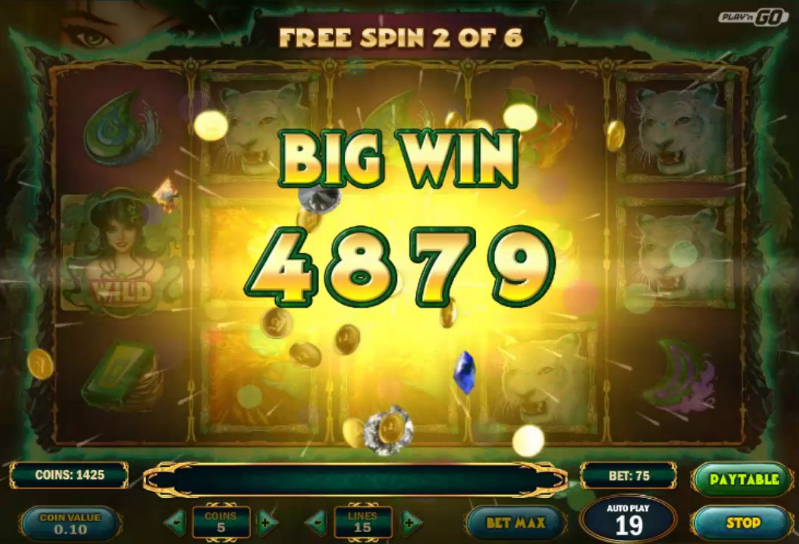 The game’s Wild Multiplier, shown as ‘X2’ on the reels, can help boost your prize when playing Jade Magician. This Wild symbol can take the place of other items except for the Jade bonus, and can multiply your win during the process of substitution. 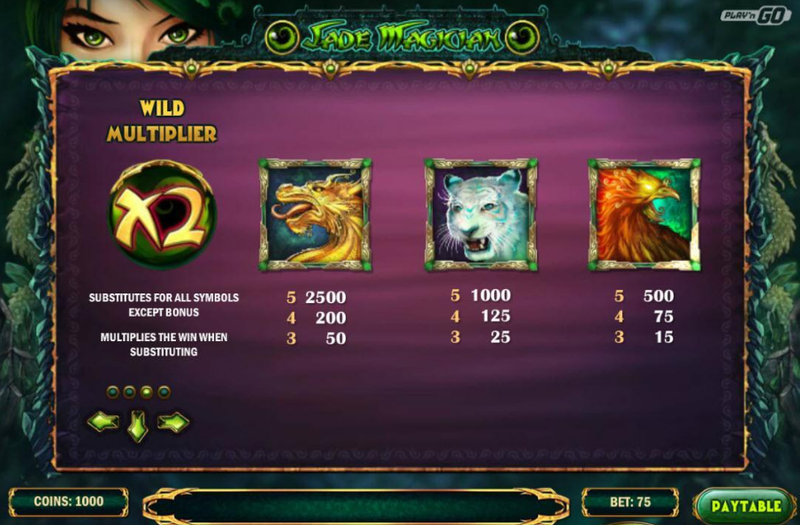 Jade Magician slot game is bit dark, but comes with exciting features, animations and graphics. Jade herself is constantly present on the reels, silently observing the spinning action. With its second chance and Wild Multiplier features, Jade Magician from Play’n GO easily transforms the slot experience into a superb casino entertainment.The game is supported by desktop, mobile and tablet devices.